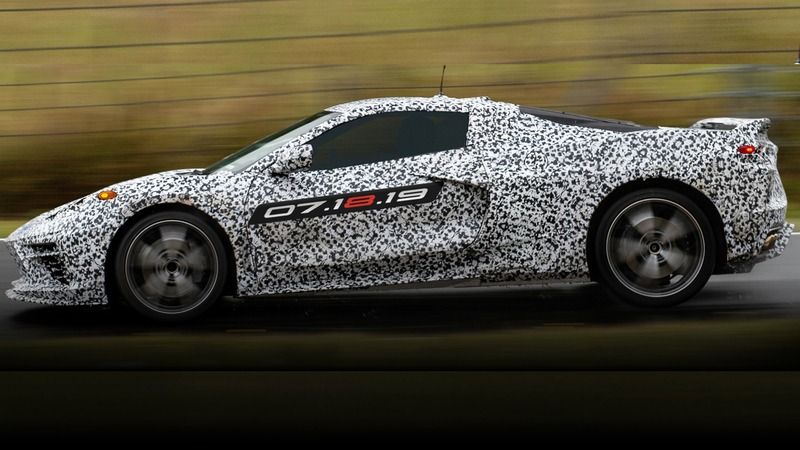 Chevrolet has officially admitted to the existence of the next-generation mid-engined Corvette and set a July 18th 2019 date for its reveal. The countdown to the reveal of a car that’s been on the minds of its creators for the better part of 50 years, begins now. 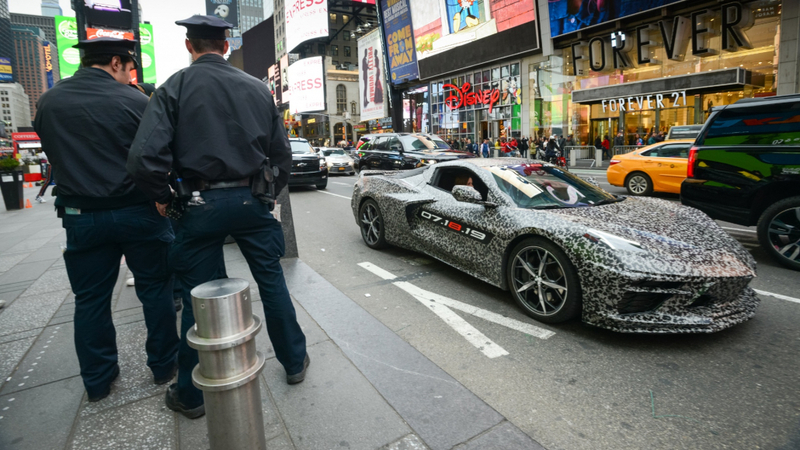 GM CEO Mary Barra was driven through New York by Corvette chief engineer Tadge Juechter in a camouflaged prototype to the location of the reveal, at the Siller Foundation charity gala in New York. If there was any confusion about when the new car is supposed to debut, ’07.18.19’ slapped down the side should clear things up. With the new mid-engined layout come lofty performance ambitions that simply couldn’t be realised with a traditional front-engined car. Nevertheless, the new car will allegedly carry over an updated version of the traditional pushrod V8, displacing over 6.0-litres and pushing the 500hp mark. Because if you completely reinvented the wheel, it wouldn’t spin, right? The sky is the limit with this new platform, though. A new dual-overhead cam V8 is rumoured to be in development for the Z06 version, while a ZR1 variant is purported to be getting a twin-turbo version of this engine. Finally, we could be getting a 1,000hp factory Corvette in the form of the range-topping ‘Zora’. The aforementioned turbo lump could be teaming up with hybrid systems to power the hyper-Vette. The manual Corvette is allegedly dead, however. The car is due to exclusively run a dual-clutch across the range. You can’t win them all. There’s allegedly due to be a big ramp-up in quality for this supercar-esque Corvette. Not to mention a space-age design aesthetic to match the revolutionary changes the rest of the car is going through. Saying all that, ‘we’, may not be getting anything. 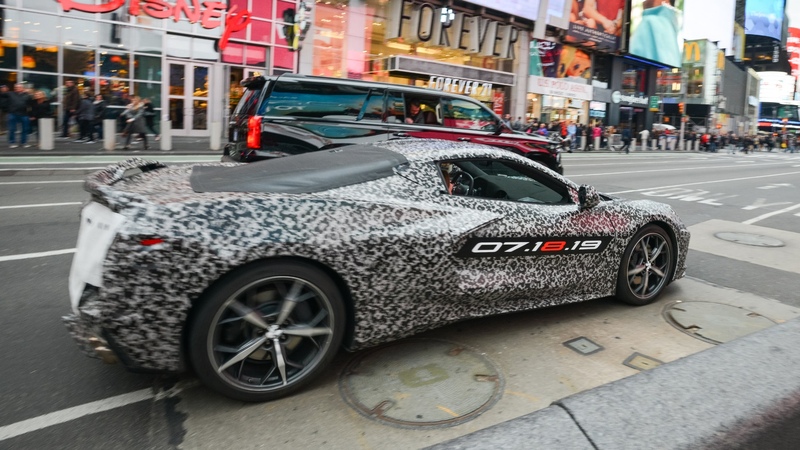 There’s still no confirmation on whether this generation of the Corvette will follow the current Mustang in being made available globally. Our hopes are high. For now, we await with bated breath for one of the most famous names in motoring to undergo a complete transformation.